Before Shield Bar Marketing, River Mallard’s website was built in 2003 and hadn’t been touched for over a decade. Customers had to physically mail a check in order to pay for their products. After Doug contacted Shield Bar Marketing, we set up a shopping cart that enables River Mallard to take credit card payments and track all of their sales too. 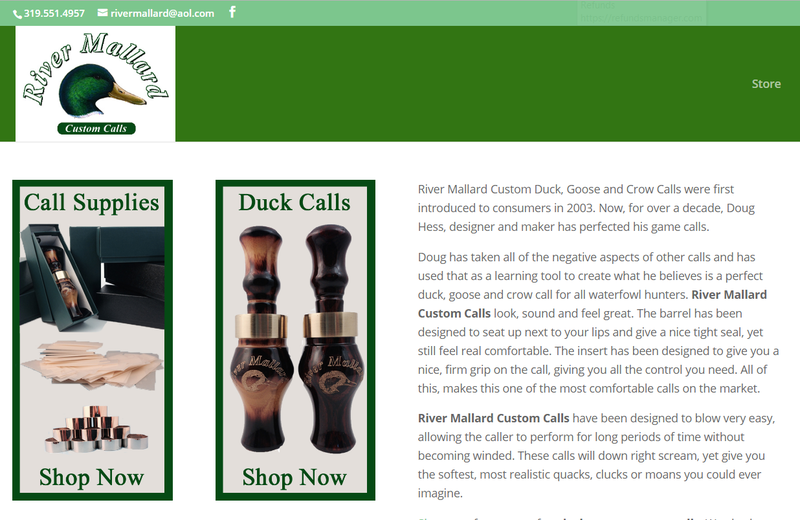 Be sure to visit River Mallard if you are in need of some of the finest duck, goose and crow calls on the market!